By Linn B Halton In Contemporary and Linn B Halton Tagged In 2016 and January. But the reality of running a business hits Katie hard and whilst her partner, Steve, tries to help she can’t help but feel that the situation is driving them further apart. Could Katie be set to lose her relationship and her dream job? Available in paperback and as an eBook. Paperback available from all good bookshops and online stores. eBook on all the major platforms. Bristol-born Linn B Halton lives in the small village of Lydbrook, which nestles on the edge of the Forest of Dean, in the UK. 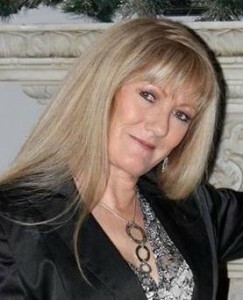 Linn’s novels have been short-listed in the UK’s Festival of Romance and the eFestival of Words Book Awards. Linn won the 2013 UK Festival of Romance: Innovation in Romantic Fiction award. 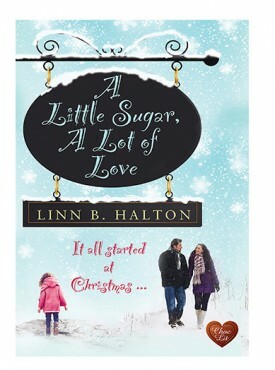 Linn has published seven novels, A Little Sugar, A Lot of Love is her debut with Choc Lit. I can summarise my feelings about this book in a few words. Writing style, emotions, storyline, reading pleasure : each and everyone of them deserve the full 5 stars. I just loved it! I received a copy of this book from Netgallay in exchange for my honest review. I simply adored this book! The main premise of the story is to follow your heart even if it takes you to places unknown. This was such a sweet story about two wonderful characters who see each other only a few times a year but who have become smitten with each other from their first encounter. A wonderful love story with lots of layers. I highly recommend! One of the best things about reading fiction for me is the chance to experience another world, walk in someone else’s shoes for a while. Sometimes this is romantic experience, sometimes it is angst ridden, with this author’s stories by the time you reach the end you always have that ‘feel good’ feeling that sets you up for the day ahead. Katie and Adam are wonderful characters, not perfect but willing to go the extra mile for people they care about, even if it means putting their wants and needs on hold. Serendipity plays an important role in this story and if we’re honest most of us acknowledge our own lives are touched in similar ways at certain times. Grace is at the end of her life but she still puts her grandson Adam first. She worries that he only living half a life and hopes to remain on earth long enough to help him. She, as do the other characters in this flowing, poignant story, has lessons to learn. Self belief and discovery are important themes of this story, whether you believe in soul mates or a life beyond our human existence, this story is worth reading.